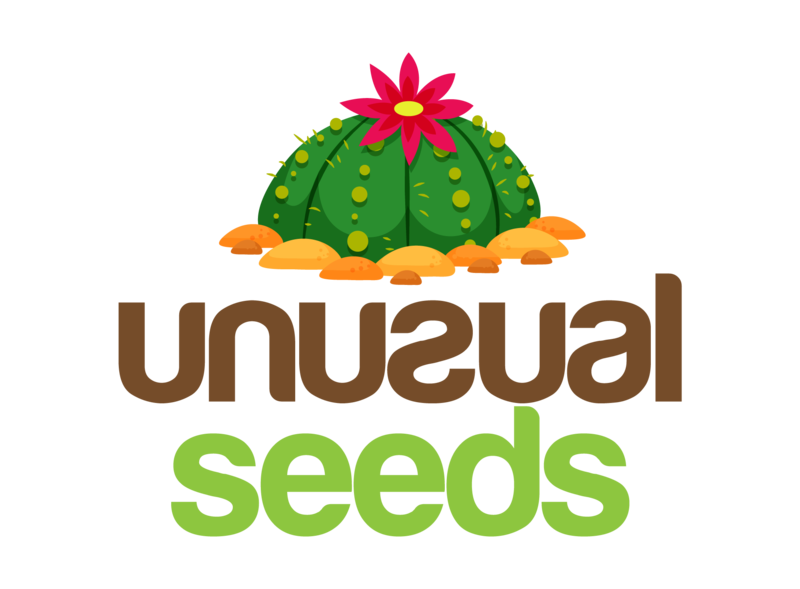 The substrate you need to use for the germination of this plant’s seeds is the same one used for Cacti. You can use the Cacti substrate bought in stores, or you can make one yourself. If you decide to mix the substrate on your own, use the following ingredients: 1/3 garden soil, 1/3 sand (with granulation up to 2mm) and 1/3 perlite (you can use smaller pebbles up to 0.2 inches (5mm) or brick pieces, tiles…). The last ingredient is necessary for the mix because it ensures good drainage, which this plant needs because it creates a caudex which can easily rot as a result of prolonged water loitering. You need to sterilize the prepared substrate so that bacteria don’t appear. You can sterilize it in various ways. You can flood the substrate with boiling hot water, you can use a fungicide, and you can bake it in an oven for about 45minutes on 350°F (180°C), or in a microwave oven for 3 minutes. After this step, cool the substrate.3. The containers you’ll use for planting don’t need to be too deep. It’s enough that the sterilizer is deep about 2 inches (5cm). If the container is as wide as it is deep, you can plant 3 seeds into one container. If you use even wider containers, you can plant more seeds. It is necessary to make holes on the bottom of the container. Pour the substrate into the container, but don’t go up to the top, leave at least 0.8 inches (2cm) empty. Water the substrate. You can water it by submerging the container, with a sprayer, pouring the water from the top… I recommend you using rainwater or aged tap water. After watering, tap the soil so it can settle down and leave for the excess water to drain. Before you put the seed into the container, remove the “wings” from the seeds if there are any, because they don’t serve any purpose. Make holes in the substrate, deep 0.4 inches (1cm) and put the seeds in there, and bury them. If the seed is not covered with the substrate, it probably won’t be able to germinate. Keep the substrate moisturized by covering the container with a see-through foil, plastic bag or glass. You can use bags with a zip opener too. Open the plant every day to ventilate it for 20 minutes. Put the container on an East window, in a room with the temperature of about 68°F (20°C). Slight variations in temperature won’t bother the plant. It’s best to plant it during Autumn. Germination process will last 2 to 3 weeks for this plant. When most of the seeds germinate, uncover the container and protect the seedlings from direct sunlight. Spray it every day. 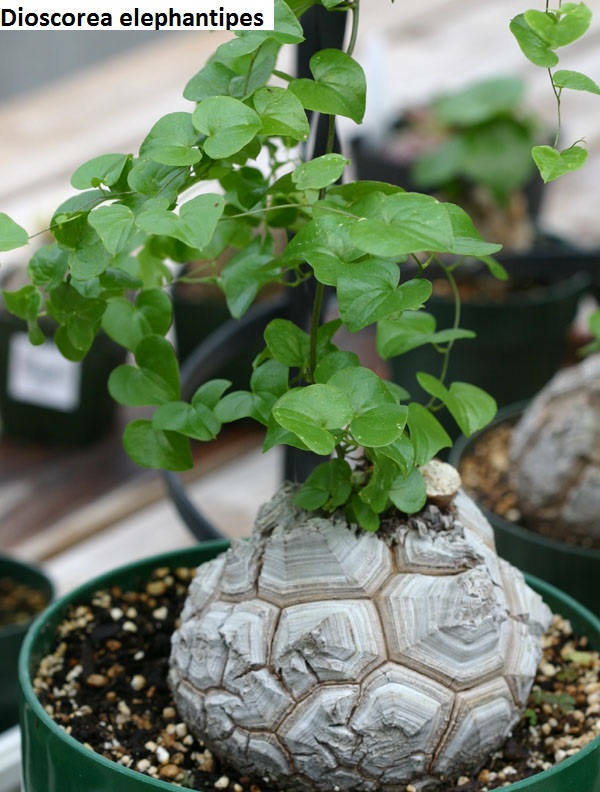 The seedlings will grow extremely slow during the first year and develop a caudex. The caudex will be around the size of a pea. After the first year, the plant will grow a bit faster and after this period of time passes, you can repot the young plants into separate containers. In about 8 months after the germination, the plant will develop a caudex the size of a coin. Place: Keep the plant in a mild shadow, it doesn’t stand direct sunlight exposure, especially young plants which haven’t developed their caudex. East window is the best place for them. Substrate: Good drainage of the substrate is a key step in this plant’s development. That’s why it’s a safe bet to make a mixture which has a lot of ingredients which make water drainage easier. The pebbles help (with bigger plants, you can add bigger pebbles), brick or tile pieces, ceramic pieces, perlite… In addition to that, it’s good to position pebbles on the bottom of the container too. The ideal soil for Dioscorea is Cactus soil. Watering: Irregular watering is the most common cause of this plant’s demise. This is a plant active during summer, so you need to water it (carefully) the most during that period. Wait for the soil around caudex to dry completely, and then water it with a larger amount of water. Let the excess water drain through the holes, but under no circumstances should you leave the water on the mat. You shouldn’t water the plant during winter at all. Repotting: This is usually done when the occasion arises, i.e. when you see that the old container became small for the plant. Feel free to allow years to pass between two repotting activities. It’s recommended to lift the plant a bit every time you repot it, i.e. let the caudex be more and more above the ground every time. You need to do this because the caudex needs more and more light as the time passes, so if it has to lift on its own, the plant can twist and deform. Wintering: As the winter period approaches, you need to gradually stop watering it. It’s best to do that when you notice that the leaves are becoming yellow and start falling down. Then move the pot in a chilly room for the winter hibernation.